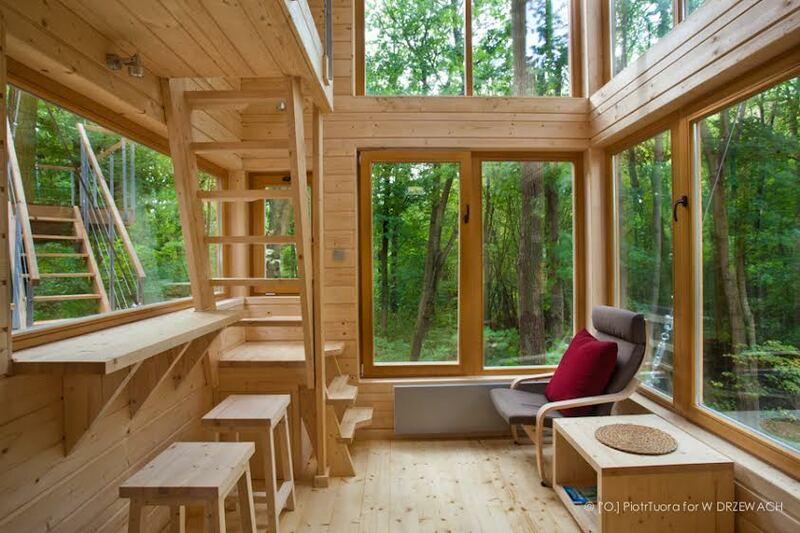 Those who have never in their childhood had fantastic experiences with tree houses, probably won't understand why in modern times the term carries such positive connotations for many (not only the adventurous) people. A house in the trees is a DREAM that many of us have cherished at one time or another, and I would be really surprised if none of you was at times "a proud resident" of one of these kind constructions. Chances are high that this primitive desire to escape to a simple, secluded place where Mother Nature, rather than "Graham Norton Show" satisfies your entertainment needs, is still burning. What you focus on is magnified. For that and many other reasons, I hold an undisguised admiration to the Fraszka family for making their childhood DREAM come true. Thanks to their determination and surely an ingenious idea, like modern Robinson Crusoes, they found the place to build the house and began in labours. And now, a few years later they can proudly say they own not one, but three tree house (if you are interested to see how the houses were growing from zero to their top shape, you can follow W Drzewach profile on Facebook by clicking here ). So, it has been two years since "W drzewach" (Polish for "In the Trees") has been inviting their guests to try out to have a sleep up in the leaves. 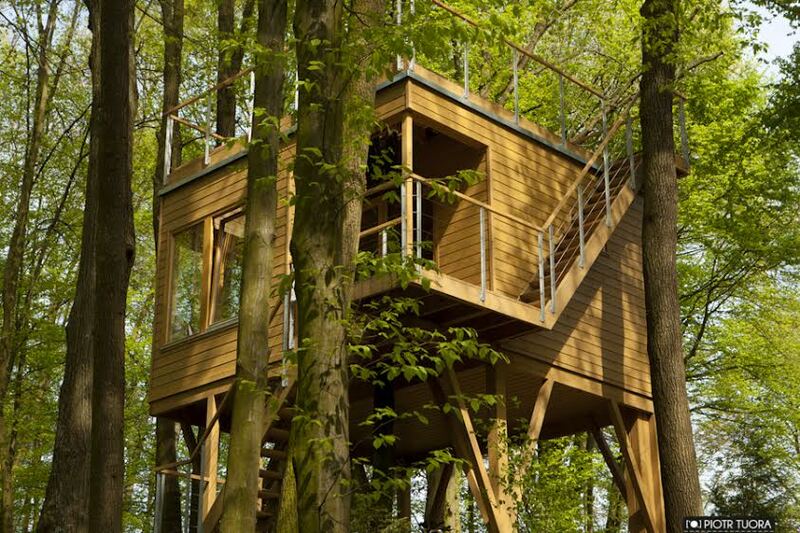 From 4 to 5 meters off the ground, they built a complex of three luxurious lodges called: Sosna, Jodla and Grab. 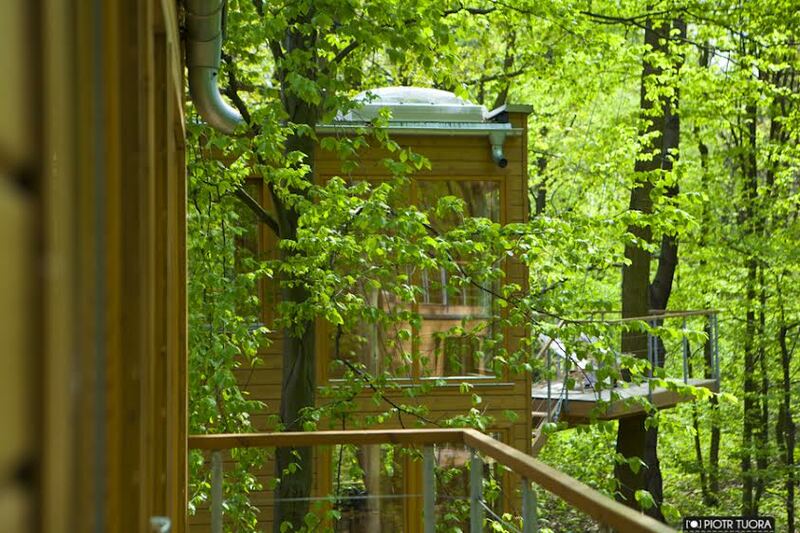 While some of you think of just planks of wood nailed together in the tree tops, this first in Poland tree-house hotel is something much more than this. Built around a gigantic pine and fir trees the apartments offer a very special experience living close to nature and I appreciate the efforts of making the whole interior look simple but luxurious. Each of the eco-lodges has a bedroom, kitchen unit, sleeping loft and private balcony (or two) for dining and lounging. Another highlight of these modern high-flying apartments is its surrounding that fully surprises tourists with its lush greenery and sentimental atmosphere. As a former local resident (I used to live in the Lublin Area), I am genuinely, genuinely delighted to see how this region is progressing!! beautifully done lodges including kitchen unit, open plan living space and en-suite bathroom. It has a simple design and perfect balance between comfort and luxury. 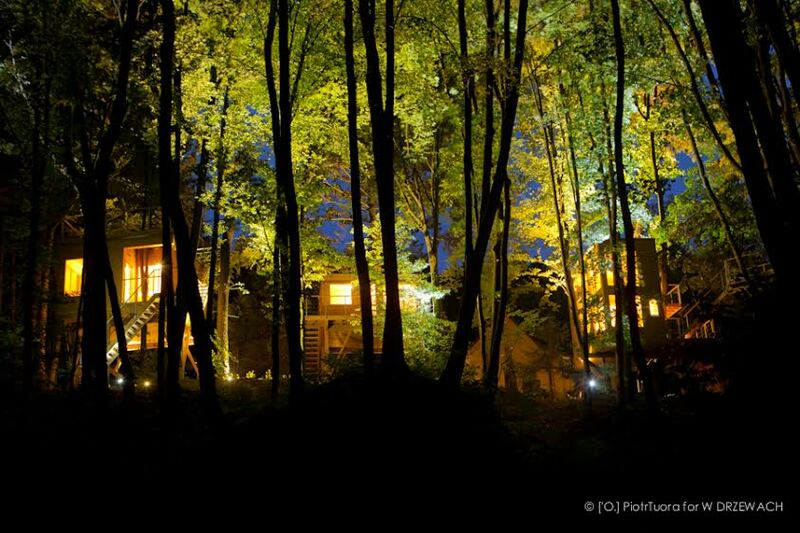 In no particular order, JODLA, SOSNA and GRAB inviting their guests to an unforgettable stay in the heart of Naleczow's naturally beautiful forest reserve. All pictures - courtesy of "W drzewach". polish Forums is a good website..
A dream getaway in the tree.